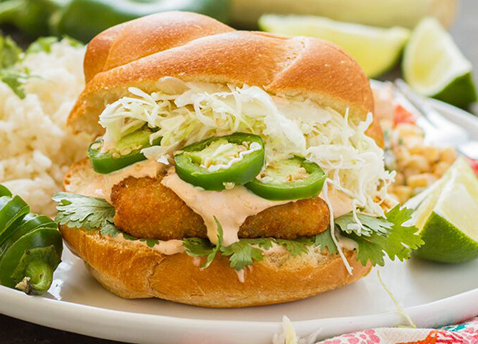 These Fish Fillet Sandwiches from The Wicked Noodle are simply wicked good. Cook up a big batch for an easy week of work lunches, or invite a few friends over for an easy dinner party! 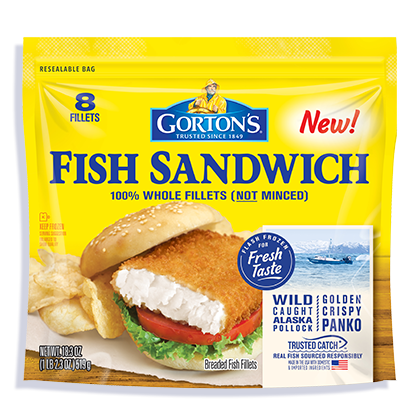 Prepare Gorton’s Fish Sandwich Fillets according to package instructions. Meanwhile, mix together yogurt, sour cream, adobo sauce, lime juice, salt and pepper. Set aside. Assemble sandwiches: place one fish fillet on a bun. Top with sauce, cabbage and cilantro. Add slices of fresh jalapeño, if desired. Enjoy immediately.